George Washington the party animal. 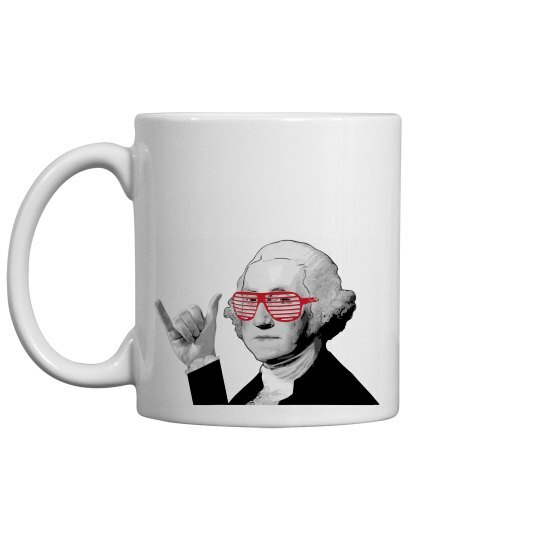 Celebrate this Fourth of July in style with this presidential mug. A funny take on American history. This President obviously knew how to have a good time so grab your shutter shades sunglasses, red solo cup, hat, and rock out this holiday.